In a country where most people think things were better under communism, now, twenty-five years after the December 1989 pseudo-revolution, there are voices that argue that Lieutenant Colonel Alexandru Visinescu, commandant of the Ramnicu Sarat Prison between 1956 and 1963, should be tried for the supposed torture and killing of political prisoners. You would have thought that this ought to have happened at the beginning of the 1990s. But if Visinescu had been put on trial then, the whole of the socialist political apparatus, newly transformed into the heroes of the pseudo-revolution, would also have had to be put in the dock. Even as early as 1990s, some of these former political commissars reverted to odious type, committing further crimes against the Romanian people. One example is none other than the former President of Romania, Ion Iliescu, who has the blood of the victims of the two miners’ rampages, or “Mineriads”, on his hands, not to mention those who were murdered as a means of validating the pseudo-revolution itself. Whereas Visinescu’s crimes will have to be proven in court, there is very well documented, filmed evidence of the crimes committed by the odious communist with an inhuman face. As head of state, Iliescu is not even able to claim that he merely watched impassively as organised groups committed crimes against Romanian civilians (although this too would have been a major crime), given that he greeted the miners in Victoria Square and thanked them for their “civic spirit”. Even so, I cannot see anybody demanding that Iliescu be put on trial, not even the people who heckle and shove the octogenarian Visinescu on the street. Unfortunately, the Visinescu trial cannot commence until there has been a trial of the communist regime itself, in which all the nomenklatura would be convicted, even post mortem. Not until we have dealt with them ought we to pick on people like Visinescu, the tools the Party bosses used in order to eliminate all opposition to their regime. There is a widespread but ignorant opinion that Iliescu cannot be brought to trial for the crimes of the Mineriads because of the statute of limitations. Nothing could be more false, since the “European Court of Human Rights underlines the right of victims and their families to know the truth about the circumstances of events that involved a massive violation of such fundamental rights as the right to life, which entails the right to a judicial enquiry and, if appropriate, the right to compensation. Under international pressure, the lingering Securitate system has made a grave moral error by putting Vișinescu on trial, thereby confirming the practice of the European Court of Human Rights. If we can try Visinescu it means we can and must also try Iliescu, both for the pseudo-revolution and for the Mineriads. Without such an evenly balanced reparation, the Visinescu trial will be just one more masquerade. Based on such reasoning, Visinescu ought to demand a verdict in the trial of communism and the trial of Iliescu before his own trial begins, and if this does not happen, then he should contest the legitimacy of the whole judicial process, because the law should apply equally to all, rather than to some but not others. Add to that the fact that in order to make the minimal reparation it is not enough to convict those who directly committed the atrocities; the principal perpetrators of the crimes are their moral authors, those who gave the orders, and it is they who should be convicted. History has already proven that the political commissars and ideologues of the Romanian Communist Party made detailed plans in advance to remove and suppress all those who opposed the communist regime. If he had not been blinded by his own sense of infallibility, Iliescu would not have been satisfied with not being brought to trial for his crimes during the Mineriads, but would have demanded to be tried in the knowledge that he would be acquitted. And I guarantee that the same judge that decided he should not be brought to trial would also have found him not guilty. 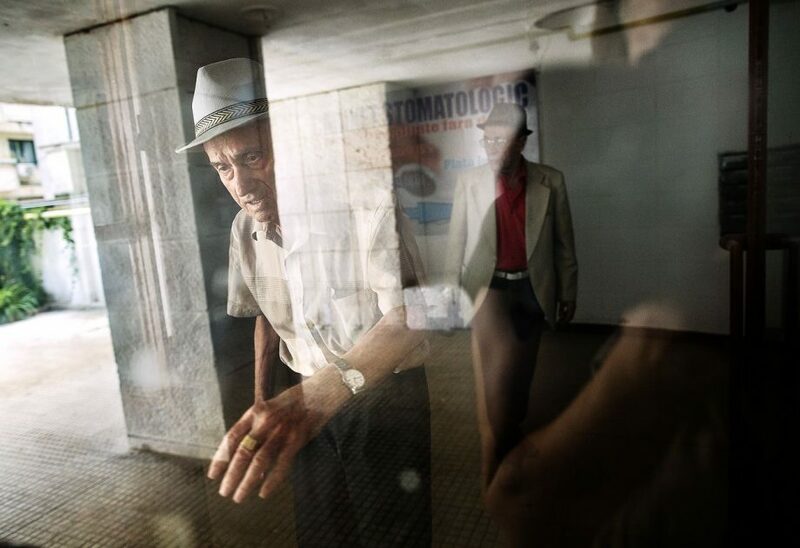 The impossibility of invoking the statute of limitations means that the Romanian people now have, thanks to the Visinescu case, yet another opportunity to see themselves paying back those that caused them so much suffering. In this July 18, 2014, photo, retired Lt. Col. Alexandru Visinescu holds a photograph showing him as a child at his home in Bucharest, Romania. 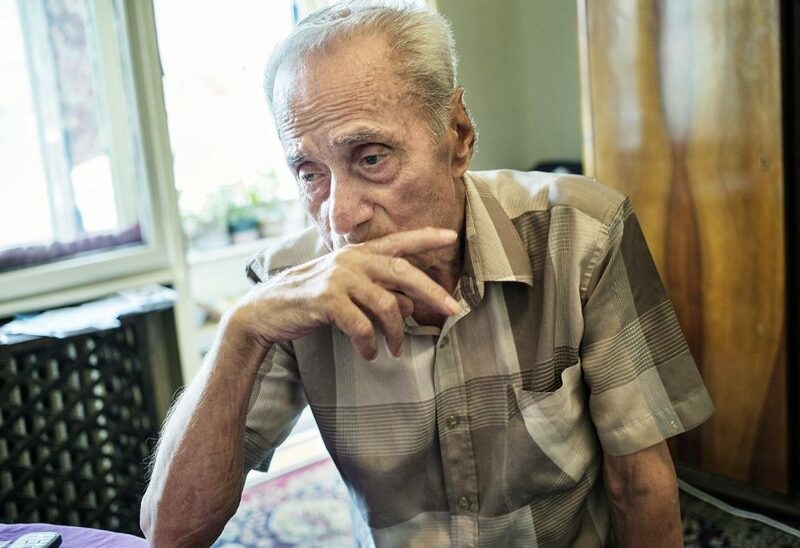 For the first time since the communism collapsed in Romania 25 years ago, a former prison commander goes on trial Thursday, July 24, 2014, charged with torturing and murdering prisoners considered a threat to the country’s old order. 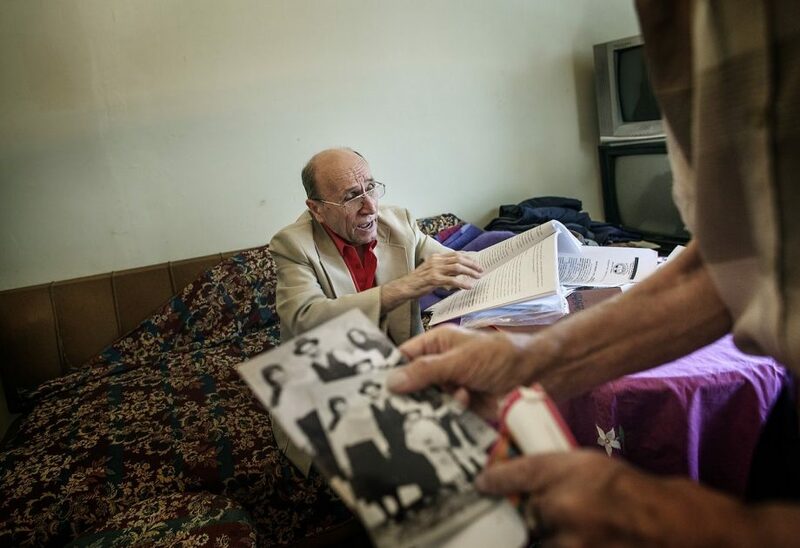 Retired Lt. Col. Alexandru Visinescu holding a photograph showing him as a child and the couple, right, that adopted him after his mother Line, left, could no longer afford raising him, at his home in Bucharest, Romania, while his friend, a former police inspector goes through letters of appreciation from the former prisoners addressed to Visinescu, as seen on July 18, 2014. Along with another prison commander Ion Ficior, on trial separately, for the first time since the communism collapsed in Romania 25 years ago, a former prison commander goes on trial Thursday, July 24, 2014, charged with torturing and murdering prisoners considered a threat to the country’s old order.